Louis Hémon, a Frenchman, visited Canada and lived and worked among the Francophone peasants (les habitants) of the Lac-St-Jean region of Québec in the early years of the twentieth century. A writer with several published pieces in Parisian journals, Hémon had earned a degree in modern Oriental languages, and learned English from an extended stay in the United Kingdom. He recorded his observations of les habitants and created a work of fiction he titled Maria Chapdelaine. 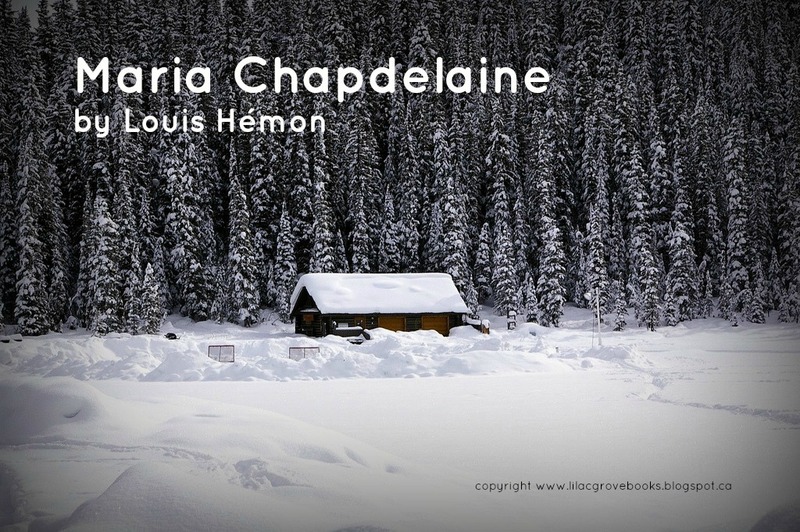 Tragically, Louis Hémon was killed by a train in Chapleau, Ontario six months before Maria Chapdelaine was published in serial form in Paris in 1914. After publication, the novel languished until it was translated and republished in 1921 when it gained international recognition. 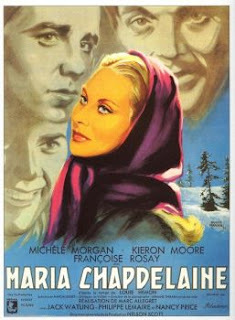 The titular heroine is the eldest daughter of Samuel Chapdelaine (whose name is surely a nod to the father of Québec, Samuel de Champlain); a beautiful, healthy, and gentle girl, Maria is described as an "inaccessible beauty," - not for her coldness, no, only for her geographic isolation. The Chapdelaines live twelve miles from the church, and two miles from their nearest neighbour. They moved into the region seven years previously from an old parish from which Maria has recently returned from a rare visit with family in that town. For a girl isolated from regular society, it had been a thrilling adventure. As Samuel and Maria leave the church they meet an old friend, François Paradis. Now a wilderness guide and a coureur de bois, François and Maria are pleased to be reaquainted. He promises to visit the Chapdelaines. 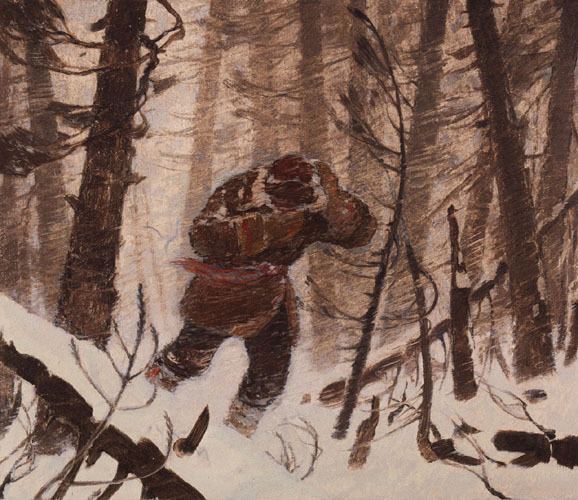 The Chapdelaines are peasant farmers, clearing their land in the harsh climate; for Samuel it is the only work he loves. 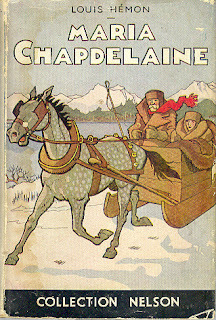 Madame Chapdelaine would prefer to live in an old parish rather than in the woods but she bares her burden with little complaint, and when pressed, defends the life of the farmer as preferable to any other. They work together in harmony and unbegrudgingly, each with his or her own responsibilities. Tragedy, loneliness, and struggle are the enduring themes of the farmers of the region, and the Chapdelaines are not excempt from their share of challenges, but Hémon elevates them to heroic and sacred status. From the first paragraph, Hémon establishes the contrast between the icy, snow-covered gloomy greyness of the landscape with the "unquenchable joyousness of a people ever filled with laughter and good humour." These happy peasants are depicted as hard-working simple folk who find comfort in small pleasures and a common faith in a gracious God. Maria is presented with three suitors, each a symbolic representation of the lifestyle choices for les habitants. Will she choose the nomadic man of the wilderness, the settled farmer, or the ambitious dreamer who lures her with the pleasures and ease of a life in America? Much depends on which man she chooses, for Maria herself is herself a symbolic representation of nothing less than the future of the French in Canada. This novel reminds me in several ways of Henry Wadsworth Longfellow's Evangeline. Both are stories of the life of a sweet, pious girl in a simple peasant environment set in Canada, but written by non-Canadians and extolling the virtue and nobility of a simple woman's devotion to God and innocent love for a man. Like Evangeline, Maria lives surrounded by "the forest primeval," and grows to womanhood pure and honest and admired by all. Evangeline is the representation of the sad plight of the Acadians, torn from their homes and each other, and set adrift in a foreign land. 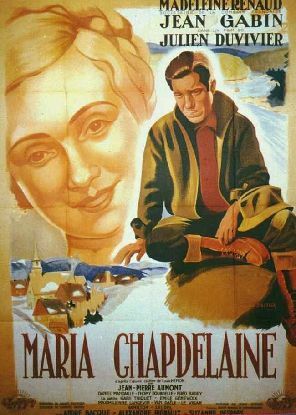 Maria, the symbol for les Canadiens, also loses her individuality when she makes her choice of husband based not on her own personal wishes, but in answer to the plee of her nation to "hold steadfast to the land of Quebec and pledge to endure." Both women have sacrificed themselves at the altar of national identity. I thoroughly enjoyed Maria Chapdelaine. Hémon has set his story in a very specific time and place, but the themes of the novel resonate. Under the lovely veneer of community cohesion and simplicity, there are other, darker themes of the danger and loneliness of such a life, of the loss of individuality and of the excessive power of the church, but Hémon does not delve into these issues.